In Massachusetts, operating under the influence (OUI) is one of the most stringently enforced crimes. When you're charged with OUI and face the potential consequences, it can be devastating. However, with skilled and experienced representation, many undesirable consequences can be avoided. It is a common misconception that operating a vehicle after consuming any amount of alcohol is illegal. In reality, a driver is considered to be under the influence of alcohol if he has at least a .08 blood alcohol content (BAC). With a skilled OUI lawyer, avoiding a conviction is possible. The Boston criminal attorneys at Bellotti Law Group, P.C. have successfully defended many people charged with OUI. It is imperative to contact an experienced attorney as soon as possible to help avoid prolonged license suspension, fines, and/or jail time. Everyone knows that drinking and driving can be dangerous and costly. You have probably heard someone's story about their drunk driving arrest. But what happens if you are arrested and charged? Should you take the breath test? If you've only had one or two drinks, should you tell the officer? Should you quickly plead before trial, and try to get your license back? Should you fight the charge? Will you go to jail? Call the criminal defense lawyers at Bellotti Law Group, P.C. at 617-225-2100 to discuss all of your options. Be aware: OUI prosecutions and convictions in Massachusetts can follow you for life. This is true even if you move to another state. You may want to quickly revolve charges, but consult with Bellotti Law Group, P.C. to make sure your rights and options are protected from the beginning. Otherwise, you may forever compromise or forfeit certain privileges and opportunities. License suspension: If you refuse a breathalyzer after an OUI arrest, your drivers' license will automatically be suspended for at least 180 days. If you have three or more prior OUI convictions, your license may be revoked for life. On the other hand, if you submit to the breath test and have a BAC of .08 or higher, your license will be suspended for at least 30 days. Court procedures: Following an OUI arrest, the first legal challenge a defendant faces is the arraignment, where the nature of the charge is determined and a plea of not guilty is entered. Following the arraignment, the defendant will be required to attend a pre-trial conference, where the defendant and his attorney first meet with the prosecutor and establish initial correspondence. Next, there may be one or more pre-trial motion hearings, which can include a motion to dismiss charges against you. Finally, if the charges stand or a plea agreement is not reached, the defendant will face a trial and sentencing. After the case ends, you may have to deal with the OUI prosecution's effect on your license to operate a motor vehicle. 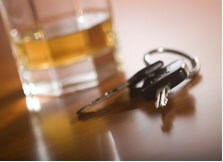 At Bellotti Law Group, P.C., we know there are serious consequences to an OUI charge, even if it is your first. There may be several options to resolve an OUI charge. Often, motions to suppress statements and evidence, or even the traffic stop itself, can dramatically change the complexion of the case. If you have taken the breath test, there are challenges and evidentiary issues that can affect the case. Sometimes, cases go to trial because it is possible the prosecutor does not have enough evidence to convict, or because you do not feel you committed the acts as the police or witnesses have described. When making these decisions, is critical you have an aggressive and experienced Massachusetts OUI attorney on your side to provide insight and advice. At Bellotti Law Group, we are experienced and knowledgeable about the license laws and regulations, and will always seek to limit your license loss to the minimum prescribed by law. We have successfully handled thousands of OUI cases in courts throughout Boston, Cambridge, Quincy, and all of Massachusetts. An OUI charge can be overwhelming emotionally and financially. At Bellotti Law Group, client turn their concerns over to our lawyers. We address the legal and financial details while you and your family focus on recovery and moving on with your lives. We pride ourselves in partnering closely with clients and working to understand their individual concerns to help obtain the best solution. Bellotti Law Group, P.C. serves Greater Boston, Cambridge, Quincy, Braintree, the South Shore, and all of Massachusetts. Our offices are located in Cambridge and Quincy. Contact us today at 617-225-2100. You can also contact us through our online form and we will promptly respond.